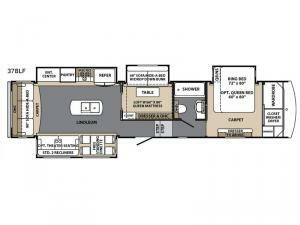 Enjoy the comforts of home in this Blue Ridge Cabin Edition fifth wheel by Forest River RV. Model 378 LF features two complete bedrooms with the master up front, a loft with a drop down bunk and hide-a-bed sofa, and bath amenities including residential touches, and sleeping space for nine! Meal prep will be a breeze in this complete kitchen and you will have extra counter and storage space thanks to the kitchen island. Each Blue Ridge Cabin Edition model is built with you in mind providing features that offer comfort and convenience. The wide body construction with aluminum framing including vacuum bonded laminated walls makes each unit lightweight, yet spacious and roomy for extended travel. You will enjoy a MEGA shower and skylight in each bath, a residential refrigerator in each complete kitchen, and comfortable furnishings for seating and dining throughout. An outdoor shower allows you to rinse off before heading inside where you can rest and relax after a fun filled day. King beds are standard along with designer headboards plus designer bedspreads and pillow shams to complete the ensemble creating a luxurious bedroom suite you are sure to love. A 42K LP furnace and Dometic Quiet Cool ducted A/C will allow you to camp in comfort in any type of weather. 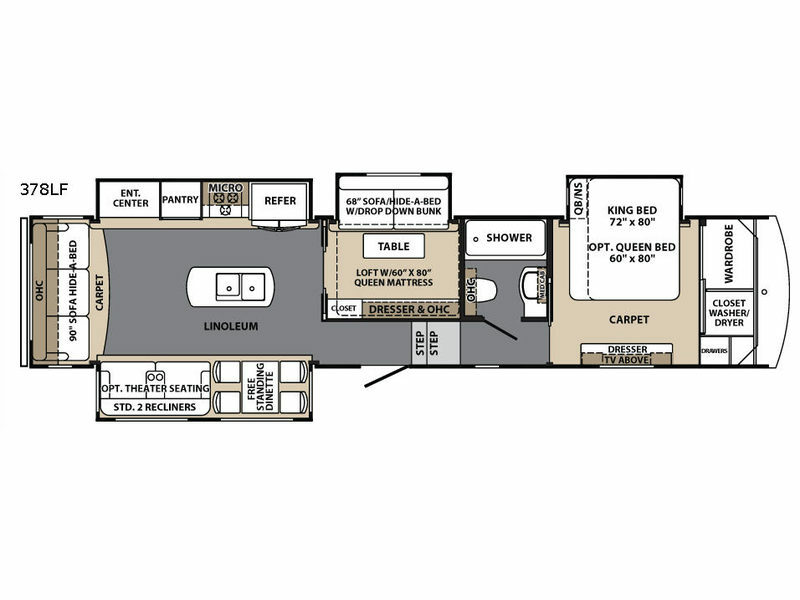 Let any Forest River Blue Ridge Cabin Edition fifth wheel be your new home-away-from-home!